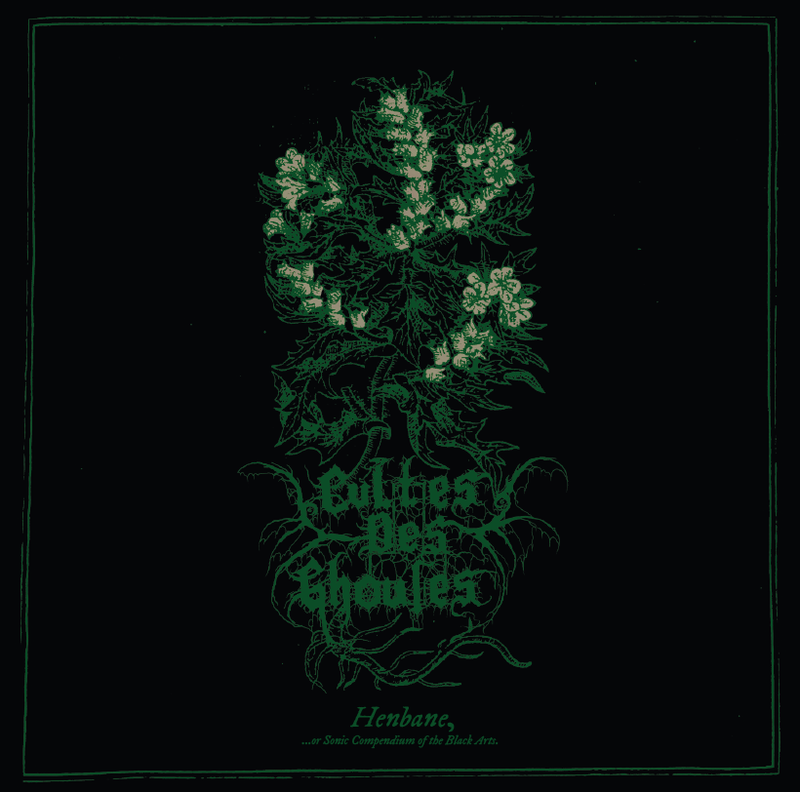 Today we have reviewer Jayaprakash Satyamurthy reviewing the new LP from Cultes Des Ghoules titled Hexbane, released via Hells Headbangers. When it’s all said and done, black metal is at its best when it is absolutely morbid and twisted, when it evokes a palpable miasma of the unclean, unholy and occult. Genre pioneers Mayhem nailed this vile, eerie atmosphere with the ponderous guitar layers and unearthly vocals of De Mysteriis Dom Sathanas. And if that kind of vibe is your cup of tea, no sorry, your splintered bone-goblet of brackish moonshine laced with hallucinogenic herbs, you’re ready to join the acolytes of the Polish black metal sect that goes by the name of Cultes Des Ghoules. Another one of those orthodox black metal collectives that veils its individual identities, Cultes Des Ghoules established a reputation for crushing black metal that projects an undeniable aura of primal evil and dark rituals with their first album, Haxan, and they’re back to unleash a new set of pandemonic chants and horrific soundscapes. The first thing that stands out is the sound – it’s thick, dense, not at all crudely produced, but still somehow raw and oppressive. The guitar tones are just that little bit over the top in true black metal form, and the drummer varies between fast, double bass-anchored parts and lurching, tribal patterns. This makes the drum work an integral part of the atmospheric effort, not just a faceless obligato running its fleet-footed way in complete disregard of the musical context. The vocals are utterly ghoulish, as indeed they ought to be, and if someone told me the being that uttered these rasping chants and guttural cries was in fact some graveyard-scouring, subterranean monstrosity from a Lovecraft story, I wouldn’t have too much trouble believing them. The songs are frequently bracketed in brief atmospheric melodies and a restrained use of samples that add to the uncanny atmosphere. Highlights include the rank ululations and simple yet darkly insinuating guitars of ‘The Passion of a Sorceress’ and the acolyte-march riffage and swooning vocal invocations of ‘Festival of Devotion’, but there really isn’t a false step here. These 5 songs are lengthy, hypnotic and completely effective in their creation of an atmosphere of obscure horror. This isn’t the kind of black metal that will dazzle hipsters with an eclectic mix of influences or appeal to the mainstream metal crowd with epic guitar solos and technical drumming. Instead, it’s the equivalent of the kind of horror movie I keep hoping they’ll make some day, something with the lush atmosphere and visceral horror of a Dario Argento film, crossed with the immediacy and immersion of a found-footage film. That’s a combination which we may never see; but in the meantime, Cultes Des Ghoules is putting out the same mix of rich texture and engaging spontaneity, all in service of a chillingly effective whole, in musical form. As metal, as a genre broadens its horizons with the word experimentation thrown about rather too freely, a small portion of it chooses ‘restraint’ as their path ahead. In a way this rids the genre of one of its more primal elements, the deep rooted proclivity to aggression. Yes doom, sludge and stoner does come under this rather broad yet small terminology and yet they show more in common with the metal aesthetic than this relatively newer offspring. The art of restraint and the beauty that lies within, is best emulated in the genre that is post-metal. Heralded by Neurosis in the late 90s the genre has now gained household status. Together with Isis, they seem to have garnered worldwide attention with their brand of musical restraint which has been rather inanely dubbed ‘thinking man’s metal’. What with their cryptic yet thought provoking lyricism, it really does not seem far off. Unfortunately like anything new what follows is a wave after wave of insipid stereotypes paying homage at the same altar. But like the preacher and the preached, the bands and their influences, markedly differ in execution. Mediocrity sets in and holds ground. We recommend that you listen to the album while reading the review. One tends to feel a sense of strong conviction behind these verses, unlike their contemporaries. The blackened side of the band makes its presence felt on the track Tristesse where a foreboding clean guitar line sets the stage for the heart rending blackened assault that is to follow. The discernible change in the vocal style into the more raspy and abrasive one serves to be a perfect illustration of the fact. When Tristesse is about to completely overwhelm the listener with its suicidal connotations you are ushered in with the melodious intro of Poseidon which seems to have slipped its way into my ‘my personal favorite’ category with much ease. A tormenting melody permeates throughout the entire track all the while serving as a build up to the epic climax which features one of the catchiest lead lines heard in a bloody long while. A closer analysis of this part will make it clear that the drumming does not remain subdued as is staple throughout the genre. Andreas plays with a certain clinical restraint, adding in fills and rolls where it only matters and striking a perfect balance overall. The guitars and bass, in Toby, Brian and Jens populate the bleak setting with even bleaker elements, all the while never failing to eke out an emotive melody or two. Croatoan’s sludgy rhythm, closer September’s contrast of moderately uplifting(by strictly depressive standards) and arching dissonance further exemplifies the fact that how good an album this is. Innately depressive, both post- metal and black metal combine to deliver a thoroughly potent concoction in Descender. An interesting portrayal of everything forlorn that you must not miss. 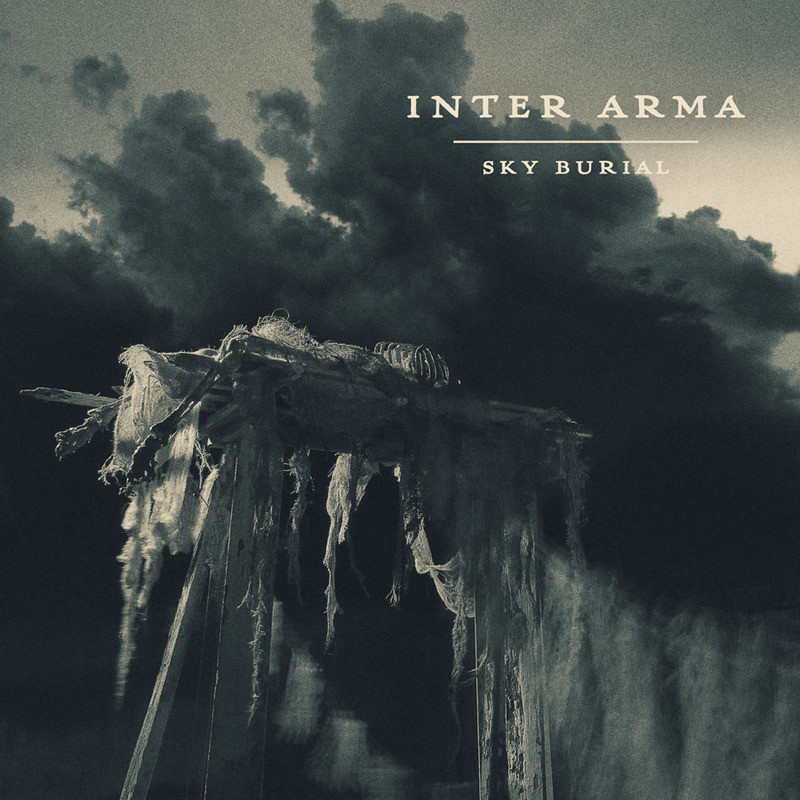 Today we have Mohammad Kabeer reviewing the new album from Inter Arma titled Sky Burial released via Relapse Records. Often you find that Metal seems to push itself towards a particular cage, and doesn’t even try to come out of it , sometimes to create something that will appeal to the mainstream audiences, sometimes because of the narrow-mindedness of the musicians and fans themselves and sometimes because it just doesn’t want to . Once in a while however you do come across a band that changes things, Inter Arma is that band . Inter Arma is a five piece from Richmond Virginia, consisting of T.J. Childers(Drums) Steven Russel (Guitars) Trey Dalton (Guitars) Mike Paparo (vocals) and Jon koerkes ( bass). The band’s sound is very hard to categorize in one single word, the best way to describe it would be black/sludge/doom metal that is strongly influenced by psychedelic rock but that barely scratches the surface. One word that describes this album perfectly is rich, both in terms of production, which encompasses a really thunderous, deep drum sound and also multiple layers of guitar tracks, and in terms of the actual performance which dosen’t really stick to one formula or genre for that matter. The Survival Fires mixes avante-garde black metal with crushing sludge while Sky burial does the same, except mixing it with really melancholic rock , whereas you have less extreme tracks like The Long Road Home(Iron Gate). The long road home and Love Absolute which have more of a psychedelic vibe, mixing spacey effects with simple acoustic guitar . And if that’s not all there are tracks like ‘sblood which is driven by very tribal drumming, mainly on the toms accompanied by really mystical guitar work that sounds almost like a didgeridoo and Destroyer which has really buzzing ,hypnotic almost drone like guitar work accompanied by simple minimalistic drums, which reminds of Venus in Furs by Velvet underground. All of these factors make Inter Arma a challenging yet quite intriguing listen; these guys are doing something different and thinking out of the box. This is definitely an album that I think every music fan will enjoy regardless of their preference in music . 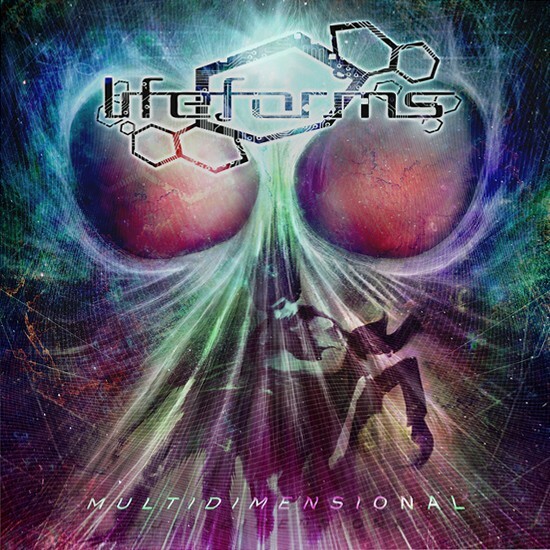 Today we have reviewer ‘Dev Arbikshe‘ reviewing the new album from Lifeforms titled ‘Multidimensional‘ released via Lifeforce Records. Music is one of those art forms which tops any other art form because it comprises of sound, poetry (in form of lyrics) and is compact in that it is brief compared to other art forms. But what makes it unique is that it can unfold a story of its own in such short time! Multidimensional is one such album that achieves this feat. And it is not every day that you come across an album which has a compact beginning, middle and an end. But I’d be honest I didn’t like the songs at first.,as the vocals seemed guttural and yet I couldn’t overlook the melodic elements and the impact of songs as a whole. The songs here somehow reminded me of the trailer to the album ‘’Kolossus’’ by’’ Keeps of Kalessin’’ which is as good as any trailer of a movie based on ancient mythology. 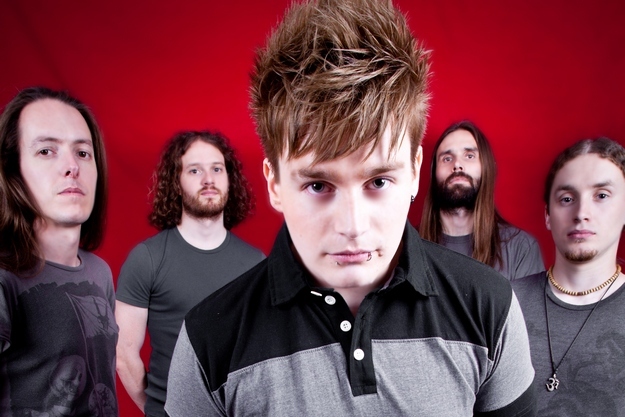 The point is ‘’Lifeforms’’ knows what they are doing and the messages are put across through their music. The title ‘’Multidimensional’’ says it all. There is so much to explore here. There are no compromised fillers and every song has something in it which is unique and a reason enough not to skip any of the songs. But this is one of those offerings which is best enjoyed with going in for it without any pre-conceived ideas or expectations. This is not an album to be compared with other benchmark records in this genre like that of Born of Osiris ‘’ The Discovery’’. And to limit something by defining it as a part of particular genre is creating obstacles in enjoying music for what it is. The quintet of’’ Lifeforms’’ has amalgamated the elements of death core, djent and progressive music creating an animal with its own life. To me every song conjured up an imagery creating a story in images with each passing second without even worrying about lyrics. For instance ‘illogical’ gave me chills and conjured up an imagery of badass killer bees flying with swords! 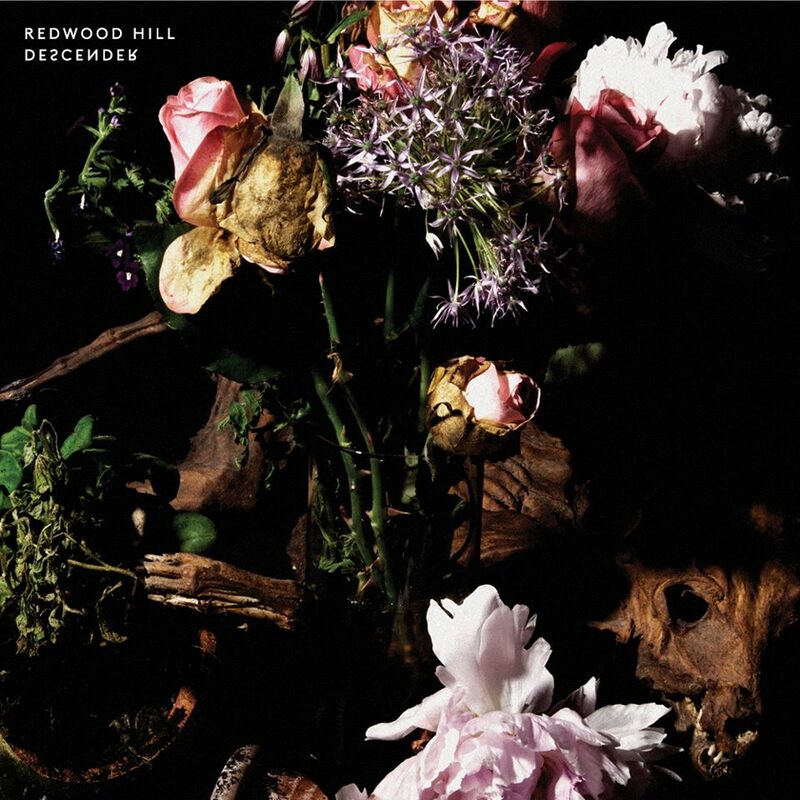 The hurricane like atmosphere is the striking element of this album which bludgeons its way into your head and out of it. It will surely knock your socks off. There is no dearth of chugging breakdowns. The test of good music is that it gets stuck in your head and that cannot be the case if the songs are not ‘’multidimensional’’. But the music that grows on you is even better as it stays on your playlist for long without the listener getting bored of it. This is a crossbreed of melody and’ in your face ‘straight-up no nonsense tunes. ‘’Multidimensional ‘’will reveal itself in layers on every listen. There is so much that can be written about the songs but there’s no point dissecting them here. I’d leave it to you to find out. From dismissing it at first listen to getting lost in its amazing diverse layers, it sure is a reminder not to pigeonhole music and stay open.